Spider-Man Annual #1 Review: Where Was Miles During Secret Invasion? Home » Comics » Spider-Man Annual #1 Review: Where Was Miles During Secret Invasion? 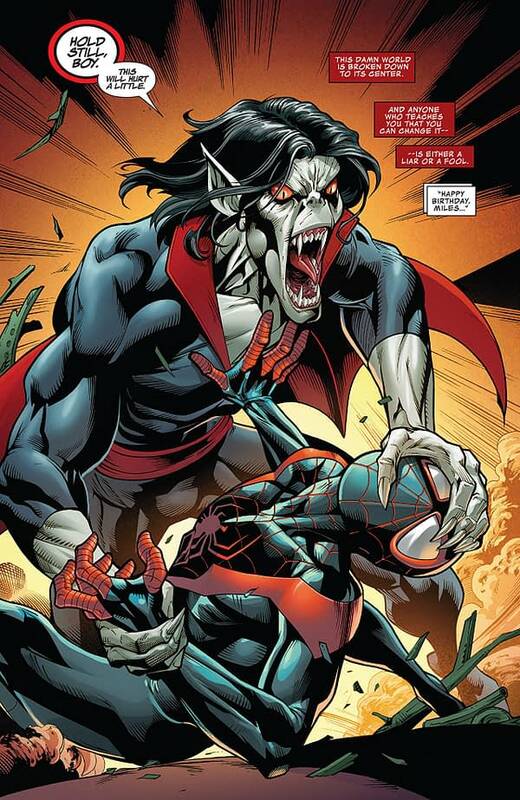 Spider-Man Miles Morales is locked in combat with Michael Morbius, the Living Vampire. Things don’t seem to be going well for the Ultimates Spider-Man, and we jump back a few years to before Miles took on the name of Spider-Man. It’s Miles’s birthday, and he goes to the grand opening of a new clothing store with Ganke and a rich friend of theirs. It’s also the night upon which the Secret Invasion began. In a back-up story, Ganke takes a driving test when Overdrive passes through. Oh man, they need to bring back Miles Morales’s solo title, and I would love to see it with this creative team. 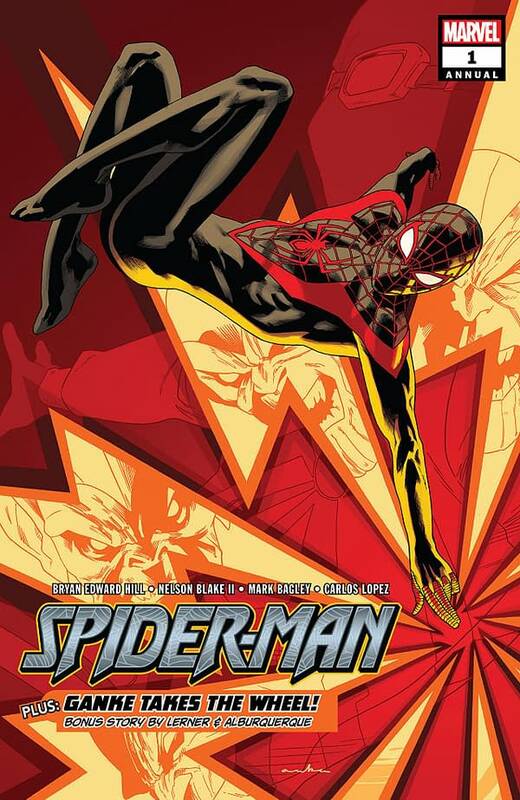 This is a fun and heartfelt adventure giving us the Earth-616 (regular Marvel Universe) origin of Miles as Spider-Man. Tying it into one of the big Marvel events is clever and gives the feeling of an interconnected universe. I do wish we got more of the fight between Miles and Morbius; Morbius is a great Spider Rogue. Plus, there’s not much to connect the fight in the present with the flashback beyond both events sharing the same day. It’s a loose connection at best. That aside, the overall story is engaging, and it’s nice to get Miles back for at least a little while. I know we still have him on Champions, but still — I like solo Miles too. The Ganke back-up story is pretty goofy, and I dug it a lot too. Mark Bagley and Roberto Poggi handle the scene in the present, with Nelson Blake II and Alitha E. Martinez telling the story of past Miles and Alberto Albuquerque covering the Ganke short. Each artist does some phenomenal work, with Nelson Blake II and Alitha E. Martinez especially standing out in the flashback to Secret Invasion. 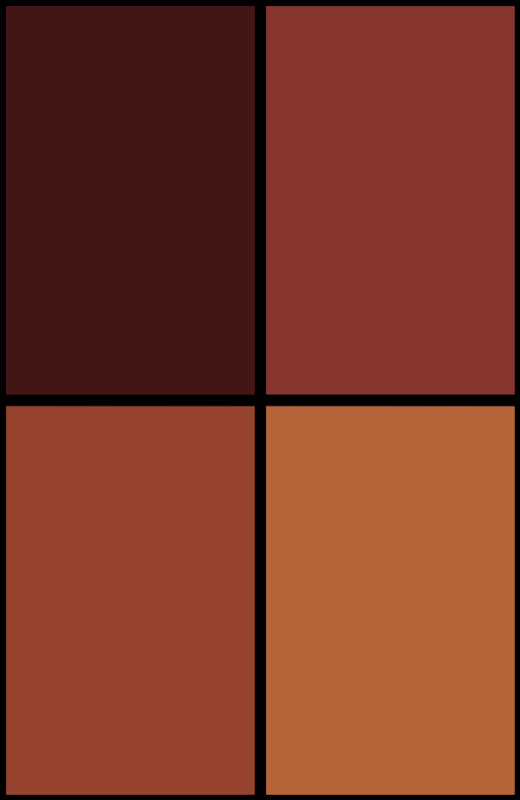 He gives Miles a lot of visual personality and emotion. The background can sometimes seem a little light on detail, but the action scenes are kinetic and highly enjoyable. 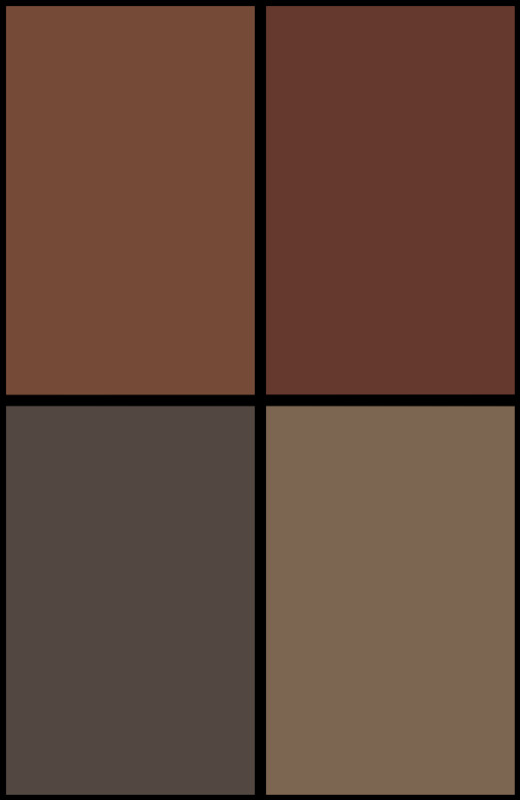 Carlos Lopez is the color artist on all parts of the comic, and each page absolutely pops with color. It’s damn good. Spider-Man Annual #1 is a bit of an odd release given the lack of a solo Miles title right now, but here’s hoping it will lead to the return of the book. It’s a thoroughly enjoyable read and earns a recommendation. Check it out.